Results. Gill Myers' "I'll just have to try harder next week" paid off handsomely and she rewrote her own FV50 record by 13 seconds. Katie Walshaw won her tenth BR and the Egg Stage for the eleventh time and with this won the overall series for the fourth time running. Chasing Katie home was Claire Green with Caroline Lambert third and FU16 winner Elizabeth Greenwood fourth, in the FU14 Lucy Byram just won from Erica with only five seconds seperating them. Holmfirth ladies won the team chocolate with Katie, FV40 winner Kath Farquhar 6th and Lucy Byram 8th. Tom Adams returned to dominate the race again winning the Egg Stage for the ninth time and recording his fifth win. Max Wharton finished second just ahead of V40 Ian Holmes who won the overall series for the seventh time, whilst in fourth Lewis Byram won the U16 category. Once again fancy dress was in evidence with Maria Parkin and Olivia Loftus running as giraffes, Danny Smith as a dragon and Lewis Metcalfe in his jockey silks. After the BR3 prize giving it then went on to the Overall Series prizes and Bunny Beer, a long night with chocolate going on forever. Results. New Bunny girl, 16 year old Annabel Mason rewrote the record books taking out 'Scary' Mary Wilkinson's 2007 record of 17:20 reducing it by 15 seconds and winning her second Bunny Run despite a bitterly cold evening. Katie Walshaw finished 2nd again, but did take the Egg Stage for a record 10th time and led Holmfirth to the ladies team chocolate with twin sisters FU14 winner Erica Byram, 4th, and 2nd FU14 Lucy Byram, 8th. FV50 winner Gill Myers won again, but was devastated to miss out by 4 seconds on rewriting her own FV50 record. 17 year old James Hall fresh from an England training camp in Wales, showed his immense potential by winning his first Bunny. James kept a cool head and tactically ran a perfect race by not chasing Max Wharton's early fast pace and by the lakeside took control overtaking Max and going on to win in 15.52. Max stormed to his 2nd Egg Stage victory in 3.36 and finished 2nd only 11 seconds behind James, but ahead of 32 times Bunny winner Ian Holmes, the V40 winner. More fancy dress turned out with bobtailed bunnies, Lucinda Peacock and Hannah Dixon, Matthew Lucas as a Tellytubby and Thomas Nelson as a Hula girl, all won chocolate eggs. Results. 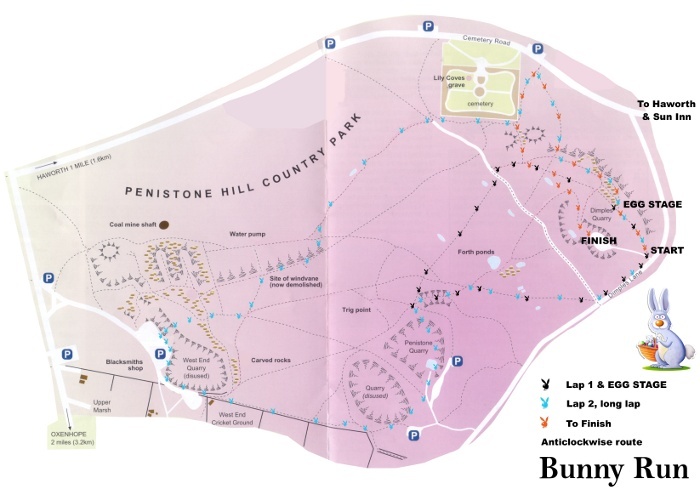 The Bunnies survived the freaky weather of late and the 271 competitors enjoyed the few snow drifts that were left on Penistone Hill. In fact the weather was near perfect, cold and crisp just right for getting the blood coursing, blue skies and a spectacular sunset. Tom Adams didn't have it all his own way at first with 19 year old Ben Small giving him a shock at the start, but Tom soon took command and hared to his 8th Egg Stage victory and won comfortably for the 4th time. Bunny legend, Ian Holmes, proved there's life in the old buck yet by chasing down an in form Tim Ellis to take second and first V40, maybe next week it will be Bunny win 33 for Ian? European junior mountain running champion Annabel Mason won her first Bunny, knocking 9 times winner Katie Walshaw off her Bunny pedestal and claiming the cuddly bunny perpetual trophy for her bedroom. 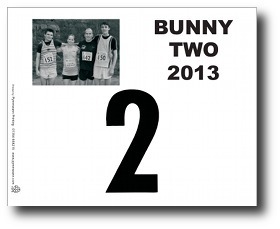 Previous Bunny winner Helen Glover finished 3rd. Keighley & Craven ladies won the team with Helen 3rd, Zara Knappy 5th and Rosie Hellawell 12th just 2 points ahead of Holmfirth. And some video on Will Neill's ChannelRun on YouTube, and another one! 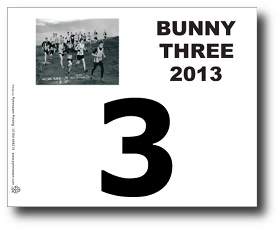 Individual Bunny Runs are CS (Category C Short) fell races. 3 miles with 300' of climb. Entry �2. Over 12. 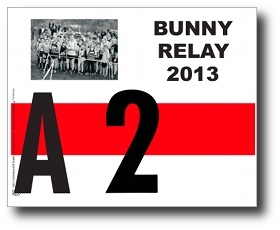 Bunny Run Relays are also CS. 7.30pm start. �6 per team of three. Each leg 1.5m/200'. Relay batons are eggs! Almost any conceivable team composition welcome including mixed, family, junior etc. Over 10. Yes folks, it's Bunny time, so hop to it starting on Tuesday evening 2nd April at 7pm, with a chocolate prize list even a chocoholic would have problems coping with! These races are eggciting, bunnylicious, cracking and are only 3 miles long with the reward for everyone being a Cadbury's Creme Egg! Remember for the Hares amongst you the 'Egg Stage', a fast and furious dash round the small loop which will bring extra chocolate for the first man and lady past the hopping bunny sign. Then of course for those of you who want to have more fun, if that's possible, there is the chance to win chocolate in the fancy dress competition incorporated in the race, remenber Donald Duck, Spiderman, etc. 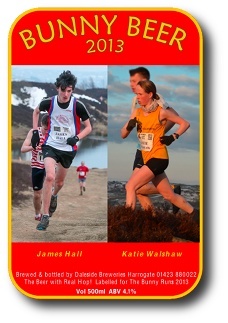 All runners can also take part in the guessing the winners time free competition � the prize is? AN EASTER EGG! See the clipboard at registration to enter. The Bunnies are renowned for post race fun � free soup and roll in the Old Sun Hotel, Haworth to watch that night's race video on the big screen, stacks and stacks of Easter Eggs in an extensive prize list, flashing bunny ears and watch in awe as the first man, lady and MV40 stagger under the sheer weight of goodies, then the finale the famous chocolate throw out! Top Bunny runners Tom Adams, Ian Holmes, James Hall & Katie Walshaw have been eating lots of carrots ready for the first race. 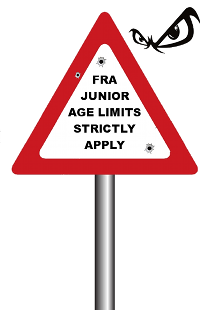 Tom the recent winner of Ilkley Moor will be aiming to add to his 7 egg stages while Ian now 47 years old, will be a good bet to add to his amazing 32 overall wins, yes that's 32. But the surprise package may be 2012 series winner James Hall who broke the U16 record last year and is out to take the top honours. Bunny Girl Katie Walshaw has won every ladies race since BR2 in 2010, that's 9 wins on the bounce and Katie has only lost one Egg Stage in that time to Jo Buckley. 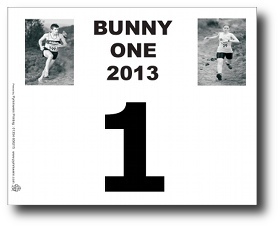 Adding to the mix this year could be the Brownlee Boys, Olympic Tri champion Alistair and World Tri champion Jonny, both have finished 2nd twice at a Bunny and need to set the record straight by becoming a Bunny winner, after all if you haven't won a Bunny how can you call yourself a champion?